We send out a regular newsletter to keep you updated. 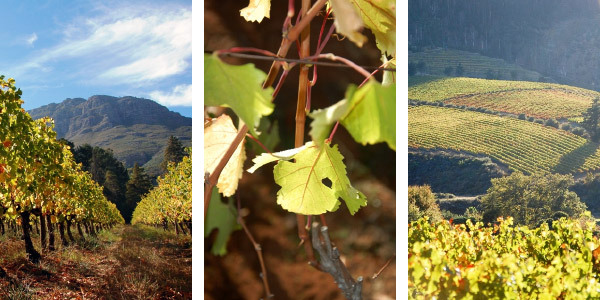 Autumn is certainly the prettiest time of the year to visit the Cape Winelands, when vineyards transform into a glorious landscape of golds and yellows all beautifully contrasted by the clear blue skies and our majestic mountain ranges. These changes also signal the important phase in the vine’s physiology where they work hard at building up the precious reserves they will need for budding at the start of the next growing season. The very dry lead up to this year’s harvest meant an early start for the 2017 vintage, with the first grapes coming into the winery early in January. After a really tough 2016 vintage, the winemaking team enjoyed the “uneventful” harvest period and managed to have all the red wine tanks pressed off and in barrel before Easter! Rudi commented that “the warmer and drier conditions have resulted in smaller berry sizes and the wines are showing amazing concentration and fullness of flavour”. He believes our red and white wines have equal chances of shining, but he is particularly optimistic of the wooded whites and Cabernet Sauvignons from both properties. Each harvest season seems to throws the team a bit of a curve ball. This year, the Muscat that was left hanging for our late harvest dessert wine ended up being so sweet, we decided to fortify the juice and make a Muskadel – something that Thelema hasn’t done in many years and will definitely be a wine to look out for in the future. Have you heard the tale of the fictional abbey named Thelémè, on the banks of the Loire river in France? Here the lives of the inhabitants were spent not in laws, statutes, or rules, and had but one rule that was to be observed of; “Do what Thou Wilt.”. The Webb family chose to name their flagship blend after the colourful author of these novels, Francois Rabelais. Each year, when the time comes to start blending the previous vintage’s red wines, the winemakers select and set aside the best barrels and parcels they taste throughout the tasting and evaluation process. 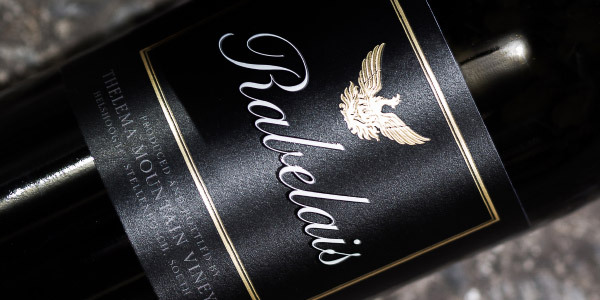 These components are then considered for Rabelais blend, with the aim of bottling an iconic wine that showcases the estate’s potential to produce world class wines. The 2013 blend of 90% Cabernet Sauvignon and 10% Petit Verdot is available as a new release on our website. 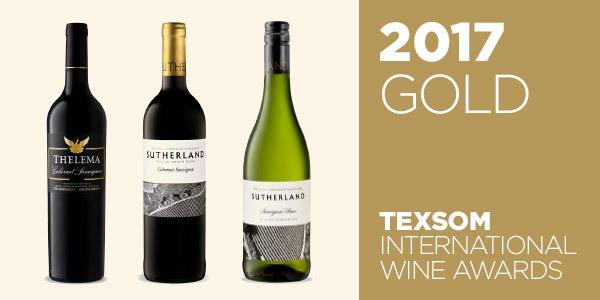 The results of the annual Texas Sommelier (TEXSOM) International Wine Awards 2017 saw Thelema and Sutherland’s wines awarded top scores and 5 gold medals. 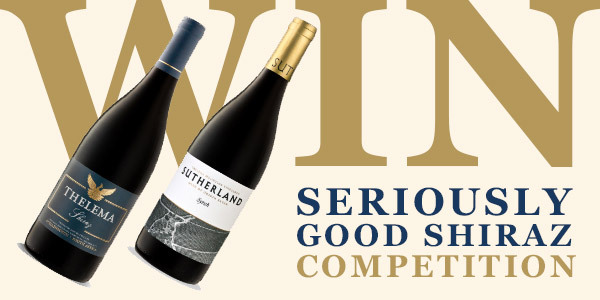 Order Thelema Shiraz or Sutherland Syrah online before the 31st of May and we’ll automatically enter your details into a lucky draw to win a mixed case of these two wines, delivered to your doorstep! Please note: this competition is only open to orders received for delivery within South Africa. 28 June: Chef and the Vine at Reuben’s – Reuben’s Restaurant, One&Only Hotel, Cape Town – For bookings call +27 21 431 4511 or email restaurant.reservations@oneandonlycapetown.com.